Get your Free Minute Mixology Cocktail Mixer Sample. 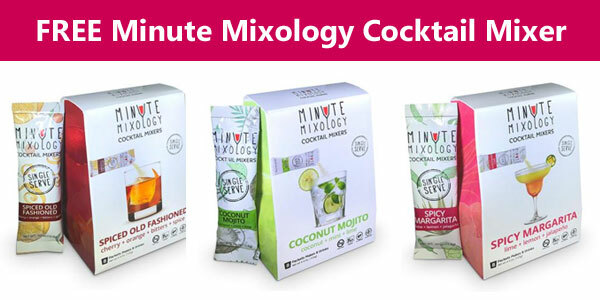 Minute Mixology has revolutionized the cocktail mixer industry with convenient, top of the line cocktail mixers offered in single serve packets. The first of its kind, Minute Mixology recipes are all natural, non-GMO, gluten free, and made with real ingredients.